Called "the hot, new winter sport" by Forbes in 2016, "Fat Bikes" are here to stay! Whereas your conventional mountain bike tire is about 2 inches across, fat bikes have tires up to 5 inches across making them capable of floating across snow, offering an alternative method of outdoor exercise during the colder months of the year when conditions aren't perfect for traditional winter activities. Fat bikes can fill in the gaps on your itinerary and help keep you in shape all winter long! Enjoy the scenery of the Omni Mount Washington Resort on a fat bike. Whether you have your own or need to rent one of ours, the Resort has trails for all abilities. Experience the Winter cross country riding on our Deception Trail System from the Nordic Center or our Fabyan Fields trail system from the Bretton Woods Demo Center. For more information please contact the Bretton Woods Nordic Center at 603-278-3322. Fat bike rentals are closed for the 2018-19 Winter season and will resume when conditions permit in the Spring of 2019. Front suspension Scott "Big ED" Fat Bikes are available for rent at the Nordic Center. These bikes are for use on the Deception System trails and Fabyan Fields trails respectively. Rental includes a trail pass. Helmets are required and included with your rental. Riders must be able to fit on the bike properly. We have bikes in sizes for adults and children! Bike rental includes trail pass and helmet ... helmets are required. 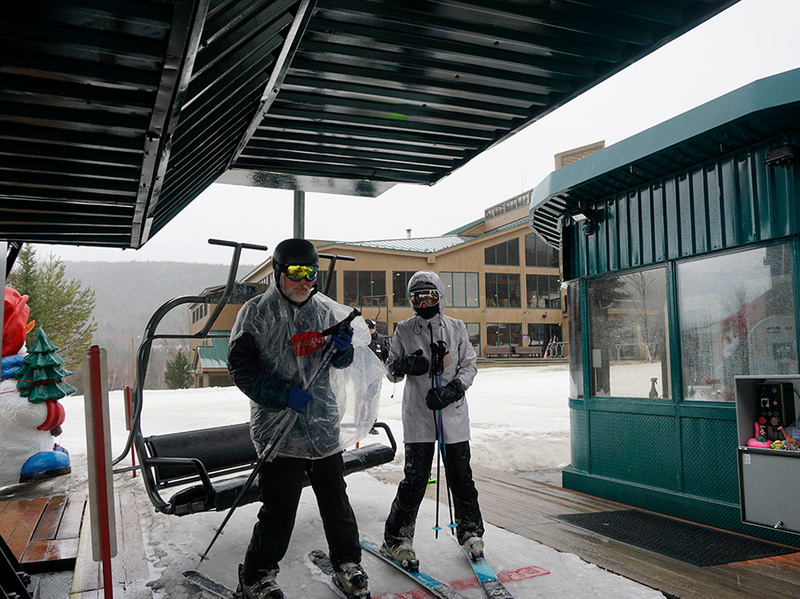 Winter Trail Pass can be purchased at either the Bretton Woods Nordic Center or the Bretton Woods Demo Center located on the lower level of the Bretton Woods Ski Area base lodge. A trail pass is required even if you are riding with your own equipment. A trail pass is required if you are riding with your own equipment. All riders must stay on designated Fat Bike trails and are not permitted on any other trails. All riders are to observe and practice trail courtesy.